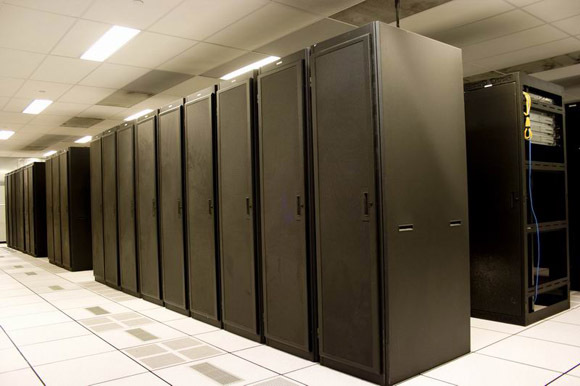 DedicatedNOW's servers are located in a state of the art data center in Clifton, New Jersey. The data center has immense growth prospects with its capability to cater up to 55,000 sq ft of raised floor area and easy access to backbone providers. 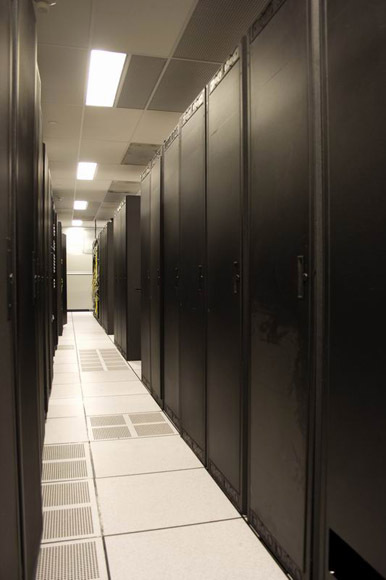 At present, our data center incorporates more than 7,500 sq ft of raised floor space. In addition, DedicatedNOW boasts over 5,000 sq ft of corporate office space comprising of conference rooms, reception area, and plentiful space for our on site staff. DedicatedNOW's data center is power driven by various levels of security, a pre-action fire suppression system, disaster proof infrastructure, cooling systems, around-the-clock monitoring and management, and an uninterruptible power supply. DedicatedNOW uses top brand equipment and server class hardware, which are highly reliable and provide superior performance. Our network runs purely on Cisco switches and routers. Western digital and Seagate hard drives, and Intel chips are used for our servers to ensure high level of reliability. DedicatedNOW's data center provides redundant power systems with an Inline power backup using Liebert UPS systems and an onsite, 1 mega-watt Caterpillar generator with 4 days of standby fuel. In case of power outages, our power management system powers up the generator within seconds and even transfers power to our UPS for charging. The Liebert UPS systems, control and constantly monitor the quality of power so that all equipment receive 120-volt power, all the time. Moreover, our UPS and generators are tested weekly to ensure maximum reliability. DedicatedNOW's data center is safeguarded by redundant indoor cooling systems that are kept at an optimal temperature. The cooling systems offer an accurate and reliable control of humidity, airflow, and room temperature that improves the working conditions for the susceptible electronic equipment. 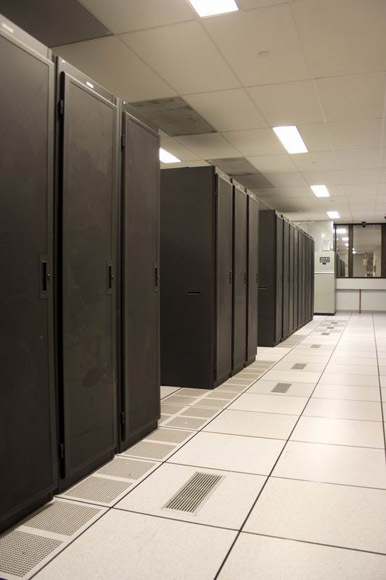 Our data center has been set in a place with 7,500 sq ft of raised flooring with 8, 20-ton AC units. DedicatedNOW offers high tech key locked cabinets that are fully secure and as per an individual's requirements. Our cabinets come with locks both on front and back, and their bases are attached to the ground. All the cabinets allow for increased air circulation and their side panels can be detached to enhance expandability. DedicatedNOW's data center guarantees protection of your system through the efficient waterless chemical fire suppression system. Our fire suppression system incorporates double interlock pre-action dry fire suppression system with hundreds of heat, flame, smoke and critical detectors. DedicatedNOW's data center has a high level of security, guarded by 24/7/365 digital surveillance of the customers' servers. The closed circuit cameras throughout the data center monitor both the interior and exterior facilities around-the-clock. Besides this, the keycard locks on all the paths to sensitive areas and biometric palm scans, restrict the access of unauthorized personnel. DedicatedNOW's internal network (LAN) environment is connected with a high speed Ethernet connection utilizing tier-1 Internet backbones to connect each server to the redundant core routers. 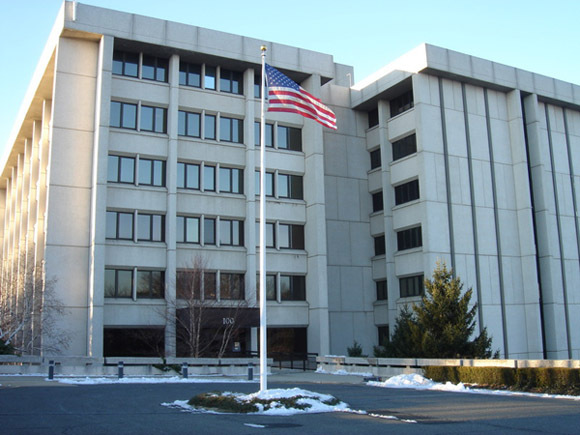 We boast of a high-class tier-1 facility with Internet backbones in Clifton, New Jersey, housing the high performance servers with uptime, exceeding 99.9%. Our network uses dark fiber ring connections to run enterprise routing and switching engines between two redundant POPs at 111th NYC and 165 Halsey (Equinox). DedicatedNOW's network supports various brands of hardware and software such as Linux servers (Fedora core, Centos, FreeBSD), Cisco router, switches, Windows servers, Voice over IP gateways, and much more. Our Network has peering agreements with major backbones like NYllX and Level 3 allowing customers to enjoy less latency and freedom to focus in their core business. DedicatedNOW's network uses Dual Cisco 6509 SUP720 routers and switches in an entirely redundant configuration at every level. The routers are fully meshed to provide multiple aggregation switches for maximum uptime. Our Network guarantees 99.99% uptime by offering redundant and highly developed network connectivity. Our network provides dedicated and comprehensive connectivity for both domestic and International networks. DedicatedNOW network provides round-the-clock monitoring of the network using Nagios and Custom Software. We regularly monitor all the hardware including the switches, routers, UPS systems, and servers in our data center. DedicatedNOW's network security can be customized as per the customer's needs. Our network security is armed with a sophisticated system, which alerts and notifies you whenever an attack on your databases or applications is captured. DedicatedNOW offers a very high and uninterrupted bandwidth through multiple POP's over all Tier 1 providers. We have highly trained network and system engineers available on-site 24/7/365, capable of delivering custom solutions to the hosting needs of the customers. With the most extensive optical metro network in the world, data centers throughout the US and Europe, top quality managed services and a high performance IP network, DedicatedNOW is able to offer the most flexible and complete data exchange solutions in the industry. DedicatedNOW builds and operates an office-to-data center, 100% optical network that enables customers to create an efficient, cost-effective network that breaks economic and performance barriers imposed in the last mile by complex legacy telecom infrastructures.